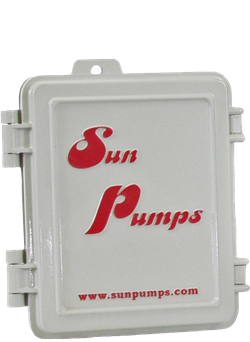 SunPumps SCP series solar powered centrifugal pool pumps with brushless DC motors are the ultimate in performance and reliability. There are two types to choose from, the BC series with a 2” outlet and the BV, or "High Volume" series with a 2 ½” outlet, designed for large pools. 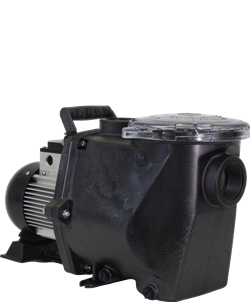 SCP series solar pool pumps will replace almost any AC powered pool pump up to 3 HP and because they get their power from the sun, you will never have an electric bill. SunPumps SCP series pumps can not only be used for pool water filtration, but for fountains, water features, pond aeration, circulating water for aqua culture or to irrigate small farms. They were designed for use as a stand-alone water delivery system.